When the PeeMan puts his vintage Airstream travel trailer away for the season, he protects it from chewing, gnawing mice, rats, squirrels, rabbits and raccoons with RV Protection Products from PredatorPee®. Learn how to keep rodents out of RVs and campers with our RV mouse repellents! These animals can cause extensive damage to campers and RV’s while in seasonal storage. Chewing rodents and other animals attack wiring and upholstery like crazy. They chew seats, beds, sofas and steering wheel covers and they tear into wires and wiring harnesses like it was gourmet spaghetti! (1) Keep the critters out! 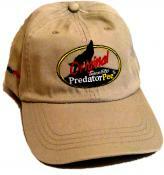 PredatorPee® PeeShots to protect the upholstery and wiring. PeeShots were designed specifically for indoor use with RV protection specifically in mind. To keep rodents out of RVs and campers, follow these steps. First, locate all the potential outside access points that would allow a small animal to get inside the camper. The obvious areas are the wheels, axles and hitch. However, there are many others as well and each vehicle is different. Look for pipes, cables, vents etc. - anything that passes thru the camper wall can leave a space big enough for a mouse to wiggle thru. Hang ScentTags from the underside of the RV with ties provide or stake ScentTags around all of these areas and treat with the appropriate PredatorPee® Predator Urine. See the descriptions below to decide which PredatorPee® Predator Urine to select. Secondly, remove the caps from PeeShots and place in engine compartment, near wiring harnesses, interior fuse box, and on or near all upholstered areas. With this done, you are all set for the storage season! Which PredatorPee® RV Pack to choose? If you know which critter is most likely to attack your RV, choose BobcatPee RV Pack for the ultimate RV mouse repellent, CoyotePee RV Pack for rats & raccoons, and FoxPee RV Pack for squirrels and rabbits. 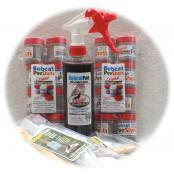 If you are not sure which rodent repellent you need, choose our PredatorPee® RV ChewStopper Pack that includes BobcatPee, CoyotePee and FoxPee RV Protection Products at a great price. 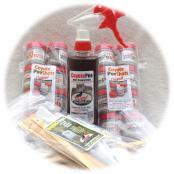 Try these natural rat, raccoon, and mouse deterrents today! 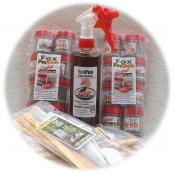 RV ChewStopper Pack for Mice, Rats, Squirrels, Rabbits and Raccoons contains (4) each of FoxPee, CoyotePee and BobcatPee Shots, (1) 12 oz squeeze bottle each of FoxPee, CoyotePee and BobcatPee PredatorPee® liquid predator urine and (2) 10-packs of ScentTags, Ties and Stakes – Only $129 - Save $20 over single unit prices!